Whatever our definition of success is, if we consistently take action towards that goal, over time we will be significantly closer to achieving our vision. Almost all people dream of a perfect life. Many of them quit dreaming and start regretting as soon as they meet the first roadblock to their quest. We should never give up in our quest. 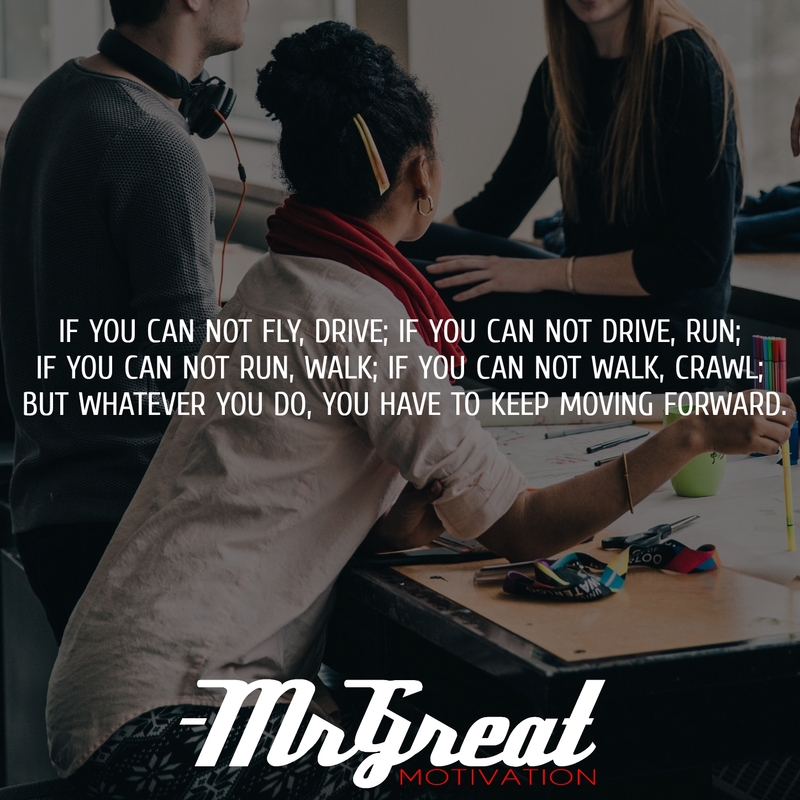 Running rather than flying, walking rather than running, and crawling rather than walking are simply metaphors for meeting the roadblock or wall and finding a way to go around it rather than quitting. As an amazing creation of nature, we have not been put on this planet to just survive. We are here to light up the world around us. There are literally thousands of experts who have success like we want and desire, find out what action they took consistently, then, and copy it relentlessly. Don’t expect results instantly…don’t give up when it gets hard or goes wrong. Learn and keep taking action. If we do, we will be one step closer to our goals everyday…and that sounds like the definition of success!